Till now the instructions for Guru Poornima meditation were given only to Ashrams but this time Baba ji wants the message alongwith instructions to reach every sadhak's abode. And when it does please spread it to the farthest corners and to as many sadhaks as possible. The full moon day, Guru Poornima in particular is observed as a very auspicious day. it emits lot of divine energy. On this sacred day of Guru Poornima , we can activate our Sixth element called Guru Tatva by tapping the energy emitted by the universe, which in turn assists us to regulate the other five elements. What is Guru Poornima ? On this day, all spiritual devotees worship their gurus. Spiritual seekers meditate throughout the day to intensify their sadhana. The shakti or energy of the Guru are at its peak on this day. A sadhak who can connect himself to his Guru’s power can receive the grace to awaken the sixth sense. Sixth sense gives direction to his life. Guru guides us to experience the consciousness of the Reality. ध्यान मूलम गुरुर्मुर्ति, पूजा मूलम गुरु पदम! मंत्र मूलम गुरु वाक़्यं मोक्ष मूलम गुरु कृपा!! So, when we bow to the Guru , He helps us to remove our Sanchit karmas (accumulated negative emotions and impressions from the past) and introduces us to the infinite power. GURU descends on the Earth with the agenda to help the mankind. A Guru is an "awakened being" who has received the shakti from an enlightened soul ,giving the same to the worthy disciples. Every human has come on this planet to learn a lesson and to achieve a purpose in life . there are two ways to achieve it, one is quite easy under the lamp of Gurukripa and the other the hard way to go it alone. Even in dyan bandhu upnishad it is written that a spark can burn the sanchit karmas accumulated over our hundred of past lives, these karmas are the only reason of all the sorrows, diseases and scarcity. The Guru carries that spark, that shakti which is sufficient enough to destroy the baggage of karmas and thus helps us achieve the level of purity of our inner self , to experience the inner peace which is called awareness . With this awareness we can impart the knowledge to materialise our happiness in ANY way we aspire. On the sacred day of Guru Poonima , we can easily receive the Prachand Shakti (envigorated energy) of the Guru as Guru becomes very generous when we establish union with the ultimate infinite’ Shiva’. Guru opens his Anahat chakra and blesses all the humankind with unconditional love. You can receive his grace with SADHANA, SEVA and SANKIRTAN. Chant this mantra throughout the day, live in that aura by chanting the mantra for one hour followed by half an hour meditation and again chant the mantra. More the devotion you have, more you feel his aura and more is the grace you recieve. It will be all the more beneficial if you do the collective dhyan with the invokation of Shiva and with the invokation of the Guru by lighting a dia. Go to the nearest ashram if you can because that is where the Shakti of Gurus would be maximum, otherwise do the meditation in groups of 51, 108, 1008. Blessings from Babaji n Maa. Babaji will be in the UK during Guru Purnima period but He sent his love and blessings to all from South Africa with some instructions as to what meditation is to be done on Guru Purnima day. These messages were sent through the official Facebook community and for convenience for those not using Facebook, these videos (downloadable) along with Babaji's messages, instruction and dhyan for the auspicious day will be put up here for which you may like to come back periodically to be updated. The words in blue on this page are words from the ashram. Namah Shivaya. You can buffer multiple videos at one time but if your internet connection is slow, it is recommended to play only one video at a time or your may download them and then view. Namah Shivaya..
Namah shivay. Babaji elucidates the message on Guru Poornima. When darkness prevails, gloom and dejection prevail whereas when the Guru opens the eyes and supersedes the darkness by lighting the lamp of knowledge, happiness prevails. The first step HE says is to become a human and ask oneself what do I want from my life ? This because there has to be a purpose to leading a life more so when one is a yogi. Merely taking things from nature and fellow humans causes indebtedness if one does not believe in reciprocation. Efforts should be made to give rather than take. Namah shivay. In the follow up video Babaji says that one must be ready to return in lieu of whatever one takes from others. So after self interrogation (Main chahtha kya hun? ), one must also ask Main de kya sakta hun uske badley (What can I return in exchange to what I seek?) One must own 100% responsibility for whatever situation one finds oneself in. Blaming others is futile and breeds diseases. It must be realized that others act only as media for happiness or pain inflicted upon us. We attract others through our previous karmas and we have only ourselves to blame if anything wrong or right takes place in our lives. Babaji lays down principles of Yog: Yam and Niyam. Yam includes Satya (Truth) Ahimsa (Non Violence) and Asteya (Self Dependency). Telling Lies or resorting to falsity even in jest or jokingly gives rise to and nourishes evil forces which bring upon grief and sorrow. So we must always speak the truth to induce positive energies around us. Namah shivay. Babaji takes over from the 2nd video emphasizing on the second virtue that He wants all to imbibe in themselves ------- Ahimsa or Non Violence. Ahimsa means inflicting pain and suffering on everyone, not sparing one’s own mother in law, daughter in law, near and dear ones. We tend to purify ourselves superficially by abstaining from eating so many food products, not realising that Veg and Non Veg is as per behavior than food items. Brham hatya or killing of any being of nature has been told to be the ugliest of crimes. The broader meaning of Brahma hatya is killing not physically but via negative emotions and dishing out expletives. He elaborates that one must respect the elderly, one’s own parents, nearest of the kith and kin. Shrugging responsibility of giving love causes karmic debt and in turn causing diseases. All the planets and astrological factors can be made favorable by giving love to one’s own family. Namah shivay. Babaji dwells on the third aspect of Yam ie Asteya or self dependency. Never eye what is not yours be it money, wealth or any object which you have not earned. Squabbling and wrangles within families for inherited wealth is the sole cause of discontent. If one believes in earning for oneself, all these fights will end. From Yam Baba ji comes to Niyam or rules. He elucidates there must be a time table and orderly manner to everything that one does throughout the day. Without rules, will power of a sadhak also declines. Rules must be made to regulate the body, mind and emotions as per the STRONG will of the sadhak and not as MIGHT BE comfortable to a lazy person. Rules and schedule from wake up time, work time table etc must be made to become an achiever. Spirituality is of use only when it is clubbed and gelled well with daily life. After laying out regulations, for one, it should be an endeavor to consciously follow the time table and not become lazy and revert back to a whimsy and flimsy routine. Namah shivay. Continuing the sermon on having a fixed time table Baba ji says that having a fixed time table helps immensely as the body and mind function in symphony for an effective sadhna and a perfect energy filled day of sakaam karm and achievements galore. A sound body per se can guarantee an effective sadhna and an unfit body wouldn't sustain, leave alone reach God. Wasting time in drinking tea, watching sensationalist news would get an animal birth in the next incarnation. It is immaterial whether tragic incidents are happening or not. Viewing them is of no purpose. Time and energy need to be channeled on the self instead of the tea and news to ascend. Babaji also says that as a sadhak we would have to leave all the sources of time wastage and work on our body , cornering TV and all distractions. No pain no gain. To get something one has to give something. Namah shivay. Babaji reiterates the teachings of previous videos. He lays out the parameter to see whether you are a successful or sad human being. Time table should be such that it should elicit respect from your family. Time is same for everyone. There are 24 hours for everyone. It’s how we utilize it that it matters. To become successful , we will have to pay the price by making utmost efforts to improve our self—physically, spiritually and mentally by clearing karmas through sadhna. If we clean ourselves, everyone around will appear clean. That is so because it is our own reflection that we see in others. Upon cleansing karmas and making the mind pure, Divinity, success and prosperity will follow. 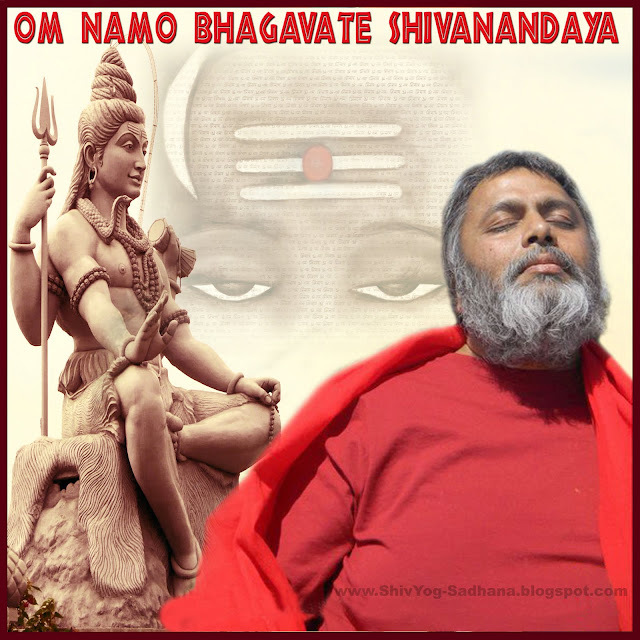 Namah shivay. Babaji has laid emphasis on the fact that if the desire is for more abundance, prosperity and success, the sadhna should be more. Wealth Baba ji says must be acquired by legitimate and ethical means and if got by ill means, it begets illness. As is said ill got ill spent. Do not be rapacious and desirous of wealth overnight. Do not resort to unfair means to acquire wealth. Whatever has been pre ordained for us, we shall get it. SO the need for squabbling over money shouldn’t arise. Money should be earned by legitimate and proper means. Also, spend money on charity if you get wealth otherwise penury is round the corner. Give to the world what you want from others. Give love to the family. Start sewa from home. Namah shivay Baba ji says that for spiritual growth, being a human is a primary concern. Be humble as you grow spiritually, only then will you progress towards the infinite otherwise the ego shall consume you. If you really love God, love all its creations. Never inflict sorrow and grief on any creation of God. He who finds peace with family at night is a real human otherwise an animal. Namah shivay Baba ji has said that even judging good about others is bad. Praise others but never judge. Never compare also since everyone Is unique. Never make efforts to change and improve others. Steer clear of anger. It becomes so easy if one focuses and leads life on a day to day basis as Baba ji points out. The Guru bows to such a sadhak who follows the teachings unbridled day in and day out. Such a sadhak is always protected by the Guru's Aura and blessings. Please spread the word to as far as possible. Help your fellow sadhaks attain what you long for. Namah Shivaya!